Updated Saturday September 8, 2018 by KBA Board. 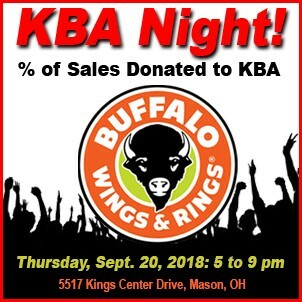 Come celebrate KBA basketball at Buffalo Wings and Rings near Kings High School. A percentage of food sales are being donated to KBA. Let's pack the restaurant with loads of KBA Players, Parents and Fans! Thursday, September 20, 2018 from 5:00 to 9:00 pm.